Christie® is a global visual and audio technologies company. Consistently setting the standards by being the first to market some of the world’s most advanced projectors, display systems and immersive audio solutions, Christie is recognized as one of the most innovative technologies company in the world. Utilizing DLP®, LCD and LED technologies, Christie’s broad range of visual solutions include: media walls, digital cinema projectors, networking solutions, cutting edge 3D virtual reality and simulation projection systems and Christie MicroTiles®, the world’s first fully modular digital display tiles. Christie’s technology expertise also includes immersive audio solutions and laser projection. The Christie Brio revolutionizes meeting time with the latest in team collaboration and presentation sharing technology, while adhering to best practices for network security. Designed to address common meeting, classroom and lab technology challenges, Brio solutions enable teams to wirelessly present, share content, and interact with each other, whether in the same room or across multiple locations—in real-time. The revamped headquarters at energy company Enbridge includes a boardroom with two Christie projectors. The main meeting room has video conferencing capabilities, and presenters can make use of two video walls made up of 88 Christie MicroTiles each. In the iPearl Immersion Theater, 112 Christie MicroTiles (20-square inches each) extend in a curved array, 7 high by 16 wide. 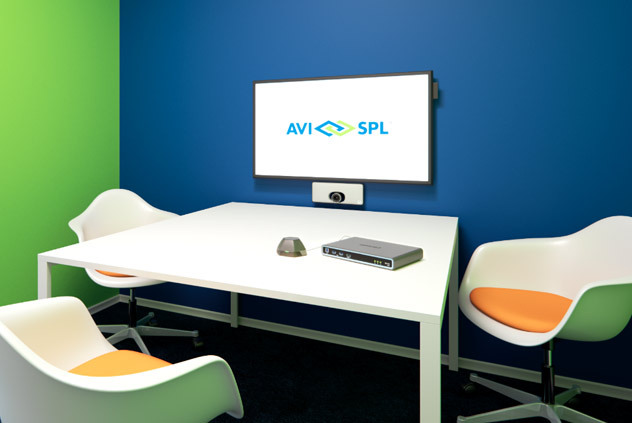 AVI-SPL and Christie work together to create easy, high quality collaboration environments with world-class display solutions. Christie is preferred by the world’s leading businesses, providing integrated projection and collaboration solutions for every application and budget. Whatever the application, Christie solutions are purpose-built to meet unique projection requirements, and are backed by industry-leading service and support, ensuring complete customer satisfaction. Transform your lobby into an experience center, where eye-catching video walls share your story with the world.